Electricity is a boon to the mankind and has become one of the most essential necessities along with food, water and shelter. With all our appliances and devices running on electric supply, its cut-off brings our daily life to a standstill. You need assistance of a reliable source when such a situation occurs. Bloomfield Heating, Cooling and Electrical will be at your service for various electrical repairs and maintenance. We undertake all kinds of electrical installations, maintenances and repairs. We provide services like installation of security cameras, electrical outlets and wirings, interior and exterior lighting, circuit breakers, motion lighting etc. You name it: We do it! Bloomfield Heating, Cooling and Electrical is a family owned and operated company. Running strong since 1988, we consider ourselves a people’s choice in electrical services industry. 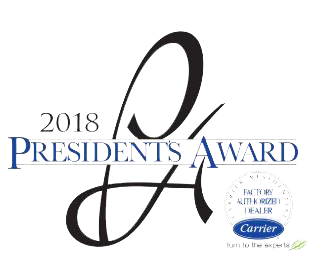 With awards like the Super Service Award from Angie’s List for the past ten years and the Best of Essex Readers’ Choice Contest in the category of best HVAC and electrical company in our bag, we pride ourselves with the loyalty of our customers in Peapack-Gladstone, New Jersey. Our employees and management have worked tirelessly to gain this solid reputation by keeping the customers satisfied. We have an extensive client base acquired through referrals from our happy customers. We honour our customers’ trust and always provide a fast, efficient and reliable service at the most reasonable cost. We have a customer-friendly and reliable crew who is guaranteed to provide a top-notch service. We employ licensed and certified electricians. Our employees are highly trained and possess a good experience in electrical servicing. Safety is of utmost importance to us. Our staff and company, both, are fully insured. We follow all safety norms and regulations strictly. We use standardised equipment and material which are in compliant with the industry norms. No compromise in quality! We provide a 24 hours on-call facility ensuring our presence whenever you are in need of our assistance. We give estimation of the time needed to complete the project and adhere to it making sure that it doesn’t prove to be a hindrance to the customer. We offer the most competitive prices in the electrical servicing industry. We make sure that our prices are reasonable and affordable such that people of all classes are able to profit from our services. We also offer a 12 month special financing with approved credit. Contact us to get a quotation for your needs.